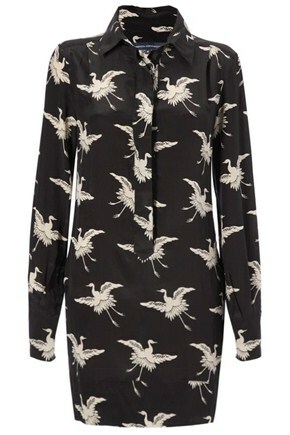 I'm loving this over-sized shirt dress featuring a bird print in black and white. Definitely one way to keep cool whilst keeping covered. It's available from French Connection in sizes 6 - 16 click here for more info.